Product prices and availability are accurate as of 2019-04-18 19:54:48 UTC and are subject to change. Any price and availability information displayed on http://www.amazon.com/ at the time of purchase will apply to the purchase of this product. The Tornado is a low-maintenance sit-on-top kayak supplying an exceptionally secure flight. 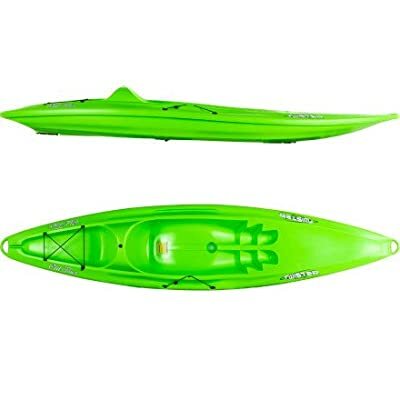 This enjoyable yet inexpensive kayak makes it simple to take pleasure in the day on the water. An outfitter favorite, the Tornado matches most physique conveniently. Made to handle every little thing from waterways to surges to pools or lakes the Tornado is perfect for beginning to intermediate paddlers. With a comfy molded-in seat area and enough leg room. All you require is a paddle and pad to make your trip comprehensive. SPECS: Length 11'3", Width 30", Weight 46 lbs., Maximum Tons Range 225-275 lbs. Product - Single Layer Polyethylene.